Believe it or not, Christmas bookings are already coming in! 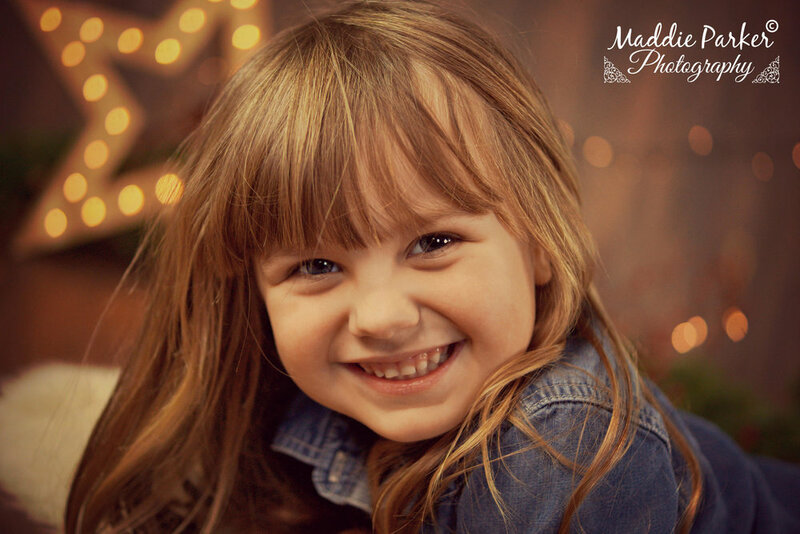 The mini sessions I offer every year are becoming increasingly popular so I open my books very early for those who wish to be super organised! 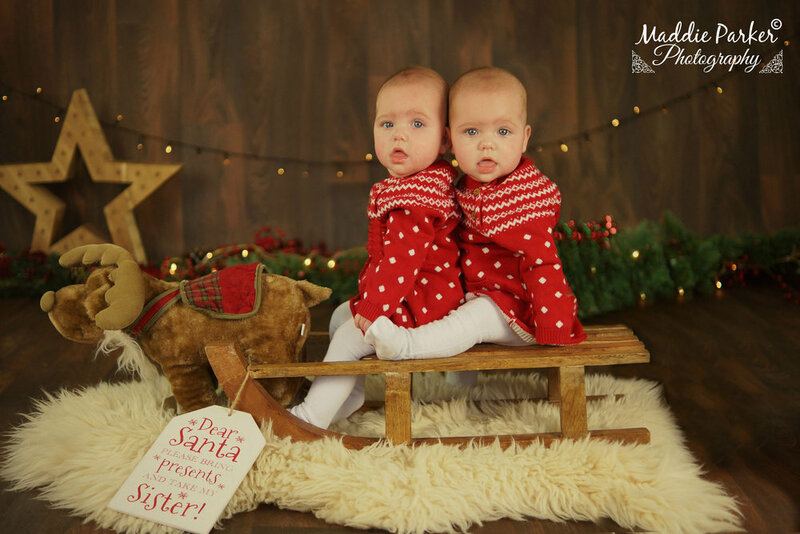 I opened my bookings for Christmas 2019 at the end of 2018 and my diary is already filling up! After much thought and research, I have decided to stick with a similar package for 2019 as it appears to suit the vast majority. £45 includes a 30 minute session, online gallery, USB of 15 images on USB to do what you like with. 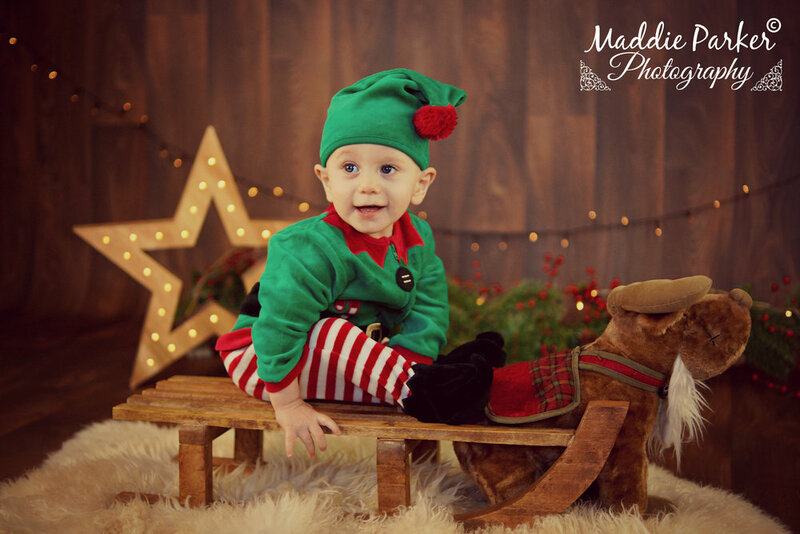 The session will be on the oak backdrop with a similar cosy, Christmassy theme. 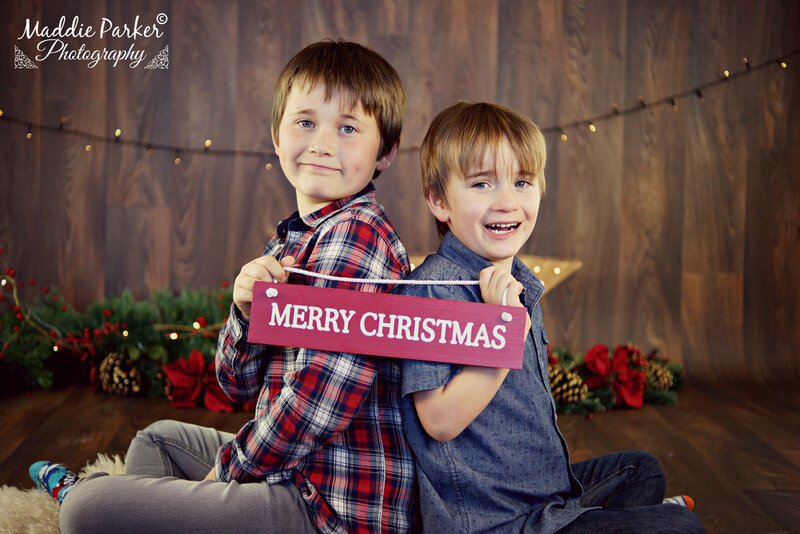 There will be more twinkling fairy lights and more garland so due to this set having several permanent fixtures the session will be for doing Christmas photos only. 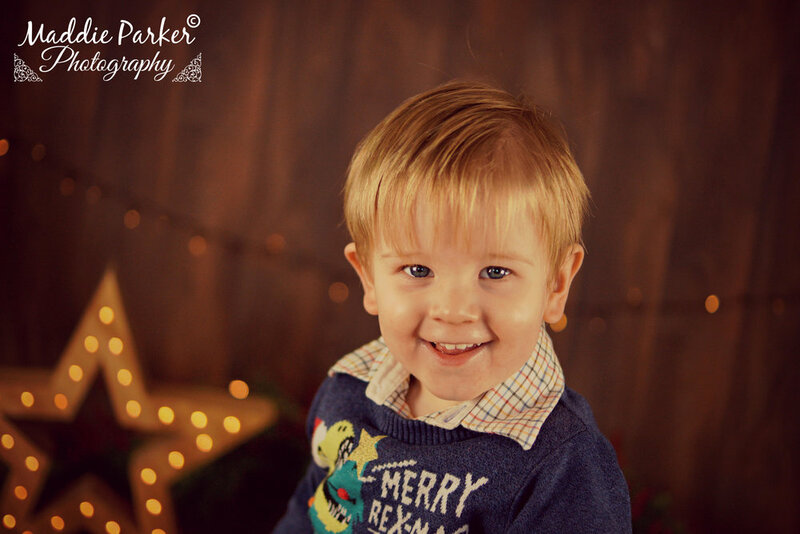 The glittery silver backdrop is also available to do photos on during your session if you’d like to. There will also be a new option to have fake snow. This option you can choose on the day but it would involve ‘fake snow’ for your child/children to throw and blow at the camera etc (subject to availability). This is only available for children 3 years + and would be done at the end of the shoot. New extras - Christmas postcards! As well as this I will be offering a ‘Christmas card option’. A Pack of 10x Christmas postcard style cards (photo on front, plain white back for you to write) with envelopes will be £15. This option uses one photo of your choice for all 10 cards. 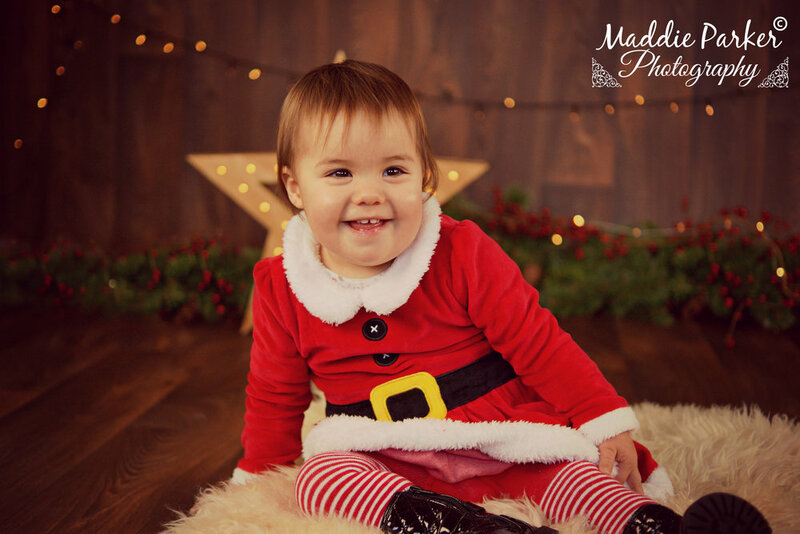 Orders for Christmas cards are going to be on set dates. Monday 11th November by 12 midday, Monday 25th November by 12 midday and Friday 6th December by 12 midday. They would be ready to collect from the office (or post at additional cost to you) within 4/5 working days. A £5 non-refundable deposit is required to secure your booking. Unlike previous years, I am no longer holding any dates. Unfortunately, I’ve had increases each year of people wanting to book, who I hold a space for, but a deposit is never paid. So until the deposit has been paid, you won’t be booked in the diary. Your deposit can be paid either by bank transfer or by cash or card at the studio. 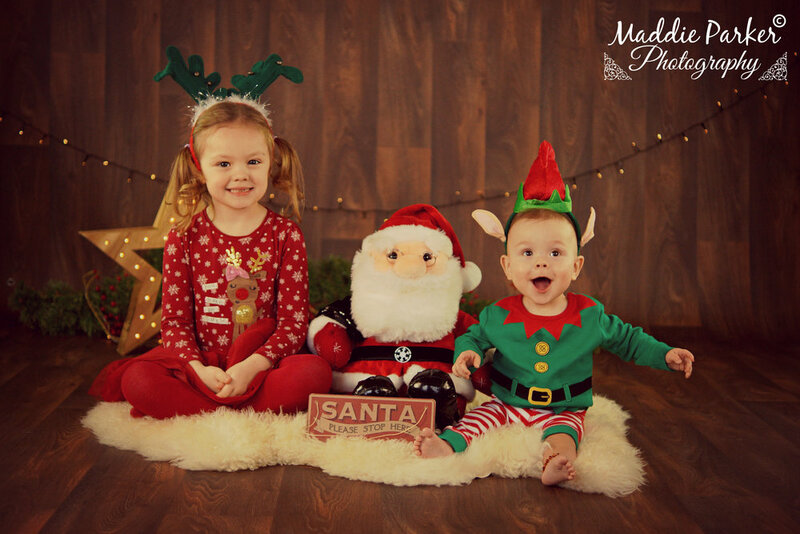 Turnaround for Christmas photos are 7-10 working days so if you know you’ll want your photos back very quickly, I would advise booking in for a shoot earlier in the year than closer to Christmas. Max of group of 6 people in each session. Well behaved dogs welcome. Due to the increasing costs of postage and packaging to what it was 4 years ago and because I am now at the office at least 5 days a week with opening hours, posting of your USB will no longer be included in this package and if posting is required, will be an additional £1.50 sent via royal mail 1st class. Feel free to bring props though I have lots! Please note photos can take up to 10 working days to get back to you. Please book accordingly if you wish to have them by a certain date. Please note that this year, for various reasons, presents will not be included. 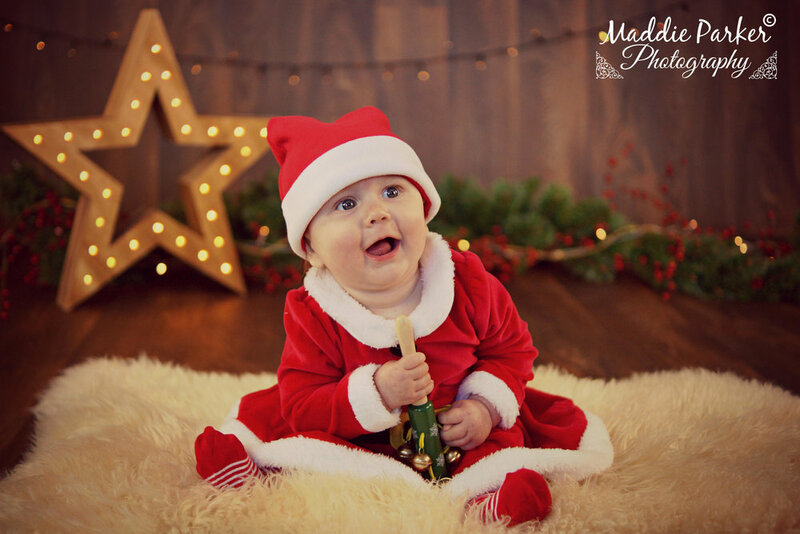 Christmas shoots start in October and are available into the 1st week of December. Your £5 non-refundable deposit MUST be paid to secure your date. Earlier appointments such as 9am are available, if required. Please message via Facebook or fill out the form below to book and get an updated list of availability.